The adoption of smart home devices is expanding steadily. 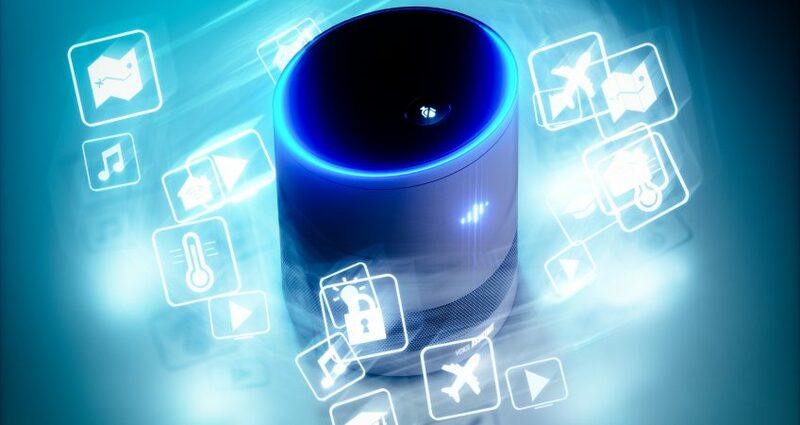 Consumers are starting to understand the benefits of using smart speakers to play music or ask trivia questions, to use connected cameras to monitor their homes, or smart heating and smart lightning that can be controlled from their smartphones. IDC estimates that over 1.8 billion consumer connected devices (including smartphones and tablets) were shipped in 2017. This market is expected to grow at a CAGR of 7% to reach 2.5 billion by 2021. While smartphone numbers will remain high and grow slowly over this period, the fastest growth is expected to be in other categories such as the smart home, smart speakers, connected cars, smart watches, and hearables. Most connected devices now offer some form of artificial intelligence (AI) algorithms, providing new experiences to end users. AI algorithms are being applied to nearly everything we do, such as interacting with digital assistants via voice on smart speakers, biometric voice identification, photo capture, face recognition, video security, and autonomous cars. Although speech and image recognition are gradually being embedded in many devices, there is a fourth element that is vital to AI — sound. The sense of hearing is essential in the AI world, as it enables devices to understand context, which is the ability of the device to identify different sounds from the environment and understand whether an action needs to be taken or not. Hence, sound AI will enable devices to intelligently understand context, attention, presence, activity, security, and entertainment by being able to identify events and scenes. Sound recognition will become an essential component of connected devices and will have a significant impact on our lives, as it enables devices to intelligently respond to sound. With the growing adoption of connected devices in our lives, from smartphones, to security cameras, to smart speakers, we are enabled with devices that can capture sounds (thanks in part to low-cost, high-quality microphone technology) from various locations, regardless of our presence. Therefore the ability to recognize sounds is an essential feature of any connected device that wishes to be intelligent. This is particularly important in the new world where artificial intelligence is becoming the core engine, as hearing is a vital sense to understand context. Sounds are essential for us to indicate the context around us. Although some sounds have a small impact on our lives (the sound of birds chirping may make us feel good in the morning, for example), others can trigger different and sometimes more immediate reactions (such as the sound of breaking glass when a burglar breaks into a house). Sound recognition technologies use intelligent algorithms to learn from a large dataset of sounds, finding a compact description that encompasses all the possible variations of a sound of interest. This is then put into a framework that runs on an end device or in the cloud, looking for the sounds in the audio from a microphone. IDC research shows that consumers are looking for devices that offer them “peace of mind” and are able to automatically perform certain tasks for them. Artificial intelligence is the engine that will make it happen, by enabling connected devices to act intelligently on the user’s behalf, therefore providing unprecedent experiences. This represents a major opportunity for manufacturers to sell premium devices and differentiate from their competitors in mature markets, where products will become commoditized if no additional value is delivered. IDC believes that sound recognition is a key strategic technology that will be embedded in most connected devices offering AI capabilities. The serviceable and addressable market for sound recognition technologies (in licensing revenue only) is estimated to be worth $1.2 billion by 2021, which represents a market penetration of 14.3% across all device types. This means that the total addressable market of 2.5 billion devices offers a major opportunity for sound recognition suppliers and the potential to significantly increase their value. IDC forecasts that smart speakers, connected cars, and smart home devices will represent the largest opportunity in the coming years. If you want to learn more about this topic, or are interested in European Consumer Wireless and Mobile Communications, please contact Francisco Jeronimo.